GI2AM is a Research Group in Environmental Engineering belonging to the Department of Chemical Engineering in the University of Valencia. 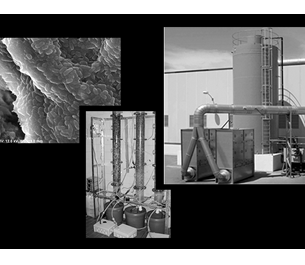 GI2AM focuses on research, analysis, design and implementation of treatment process for industrial gas and liquid emissions. The lines of work include, mainly the removal of VOCs in air with biological and photocatalytic processes, and the biosorption of heavy metals in water. GI2AM group has been funding by Ministerio de Economia, Industria y Competitividad (Spanish Government) for a R&D project in the National program of research in the modality development and innovation oriented to the Challenges to Society for 2018-2021 referenced with CTM2017-88042-R. The main goal of this project is the improved production of biobutanol from lignocellulosic waste and the development of advanced process alternatives (Advanced-2G-BIObuta). GI2AM group members are collaborating with EFIQ research group in the framework of this project. © 2010. Dpto. Ing. Química. UV. Powered: yPunto.